120 Days Same as Cash $331.50 - Shop Online Order Now. Gently aged finish and replicated plank details offer rustic qualities to a traditional trestle-style design. 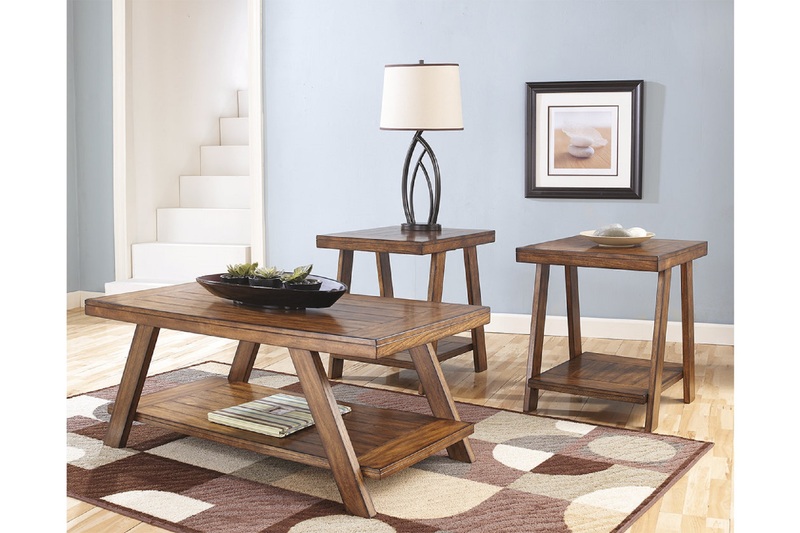 Bradley coffee table set’s bottom shelves provide display space for magazines, books and accessories galore. Ideally suited for a multitude of aesthetics, from vintage to traditional and even industrial. Cocktail table shelf Width: 45.75"
Cocktail table shelf Height: 1.50"
End table shelf Depth: 21.50"
End table shelf Height: 1.50"